PUBG Corp has announced a three-month-long campaign which aims to deliver the changes and improvements players want to see in PlayerUnknown’s Battlegrounds. The ‘Fix PUBG’ campaign (which even has its own website) plans to address the bugs, quality of life issues and performance problems which have angered PUBG fans in recent months. 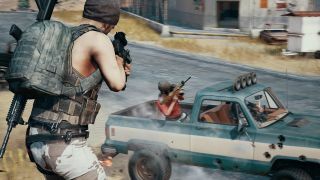 The problems have been so prominent that PUBG’s recent Steam reviews are ‘mostly negative’ and the PUBG subreddit is littered with complaints about the battle royale. According to the roadmap, the issues being addressed first include players being notified when reports result in a ban, level streaming optimization and replication interleaving. You can keep up to date with what the team is working on via the fix log, which details currently planned fixes and improvements. Though PUBG reigned as king of the battle royale for some time, the title has gradually been losing players due to poor game performance and the meteoric rise of Fortnite. While Fortnite is free, and available on Nintendo Switch, console, PC, and mobile, PUBG costs £26.99 and runs poorly on consoles. PUBG is also arguably more competitive, appealing almost entirely to seasoned gamers rather than a broad spectrum of players.